Pardon the pun, but The Wild Hunt for a new Watain music video is over, as the Satanic metal crew have unveiled an ominous set of visuals behind their recent LP's "Outlaw." 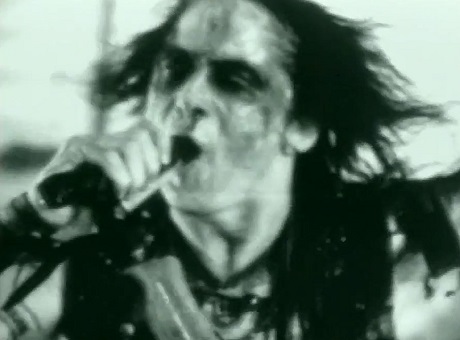 Sure, the group had previously delivered a lyric video in the summer, teasing the set's "All That May Bleed," but this clip actually features the corpse-painted ghouls banging it out on camera. There's all sorts of unsavoury vignettes as well, including a woman crawling into a gas stove, another lady's insane asylum stint, bloodied-up religious figures, and shots filmed during an apparent underground torture ritual. If that's your bag, you'll have to watch it all in the video down below.